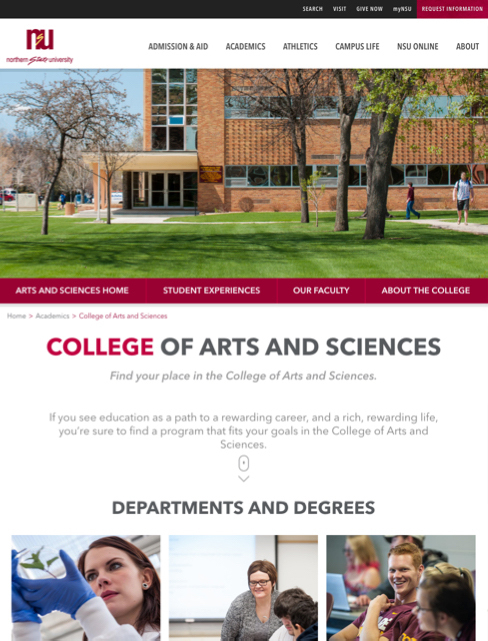 Building a website that emboldens a brand. 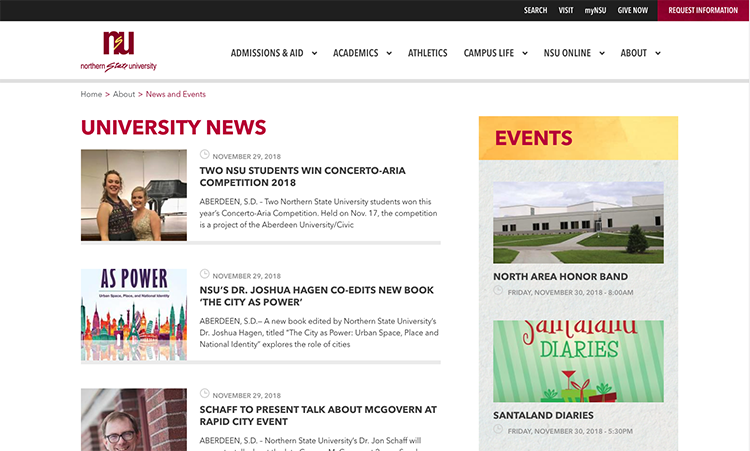 NSU is a important part of their community in Aberdeen South Dakota. From their football team to their homecoming celebration, the whole town gets involved. 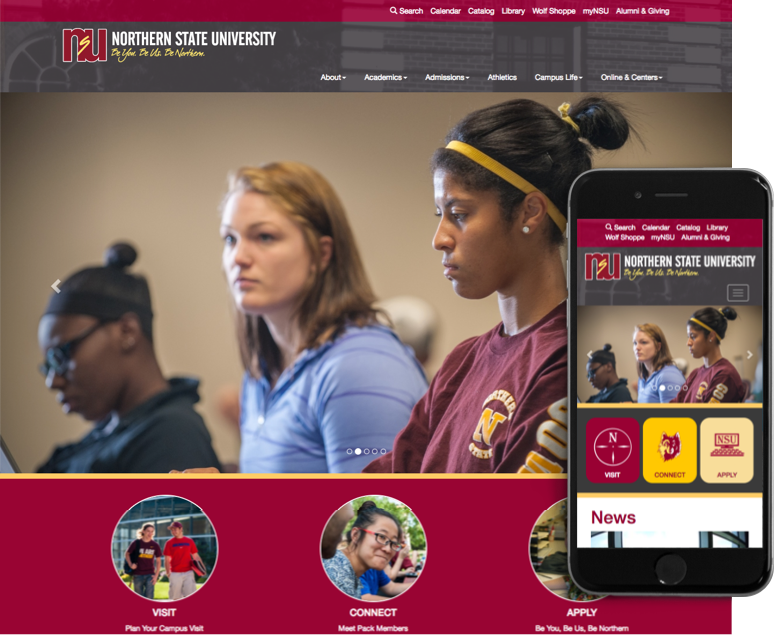 We wanted NSU's website to have as much personality and presence as they do. We wanted to hear directly from students how they use the website and what's most important to them. 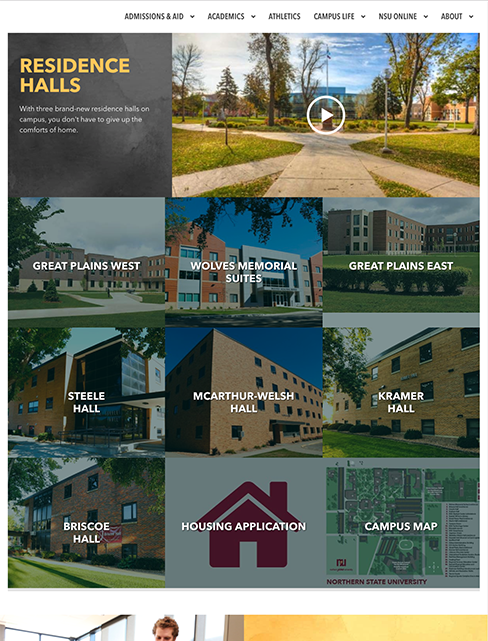 This allowed us to base our design decisions on real students and their unique needs. 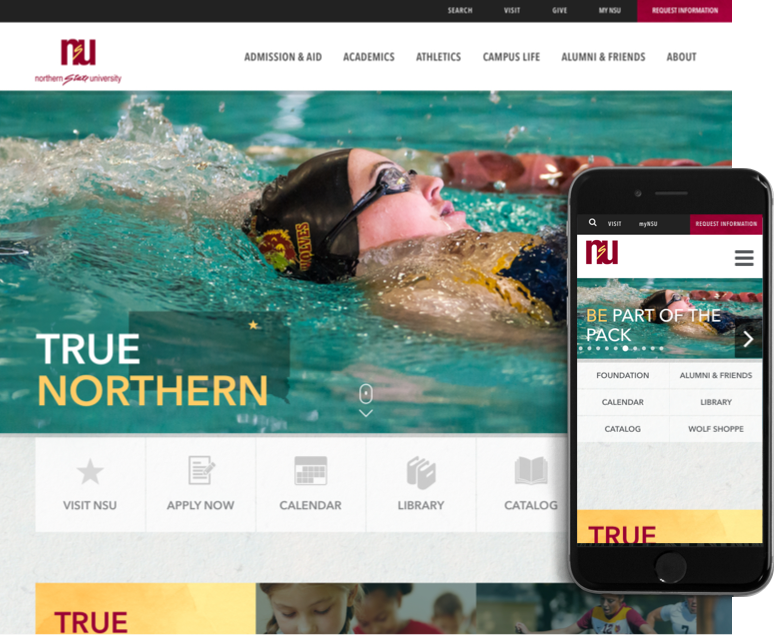 We worked with NSU to create desktop and mobile designs in tandem. 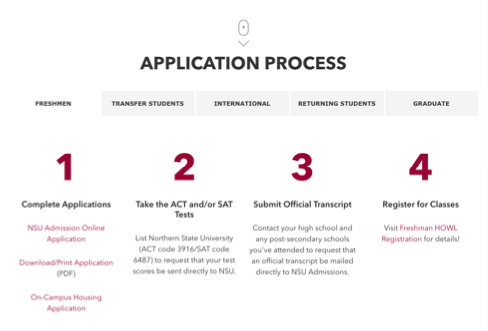 We NSU has a larger than average portion of mobile users and we wanted to prioritize their user experience as well. 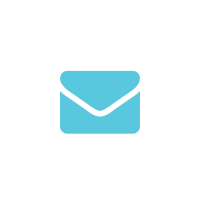 NSU needed the works when it came to development: content migration, lots of integrations, advanced content workflows and training. Good thing they partnered with KWALL! 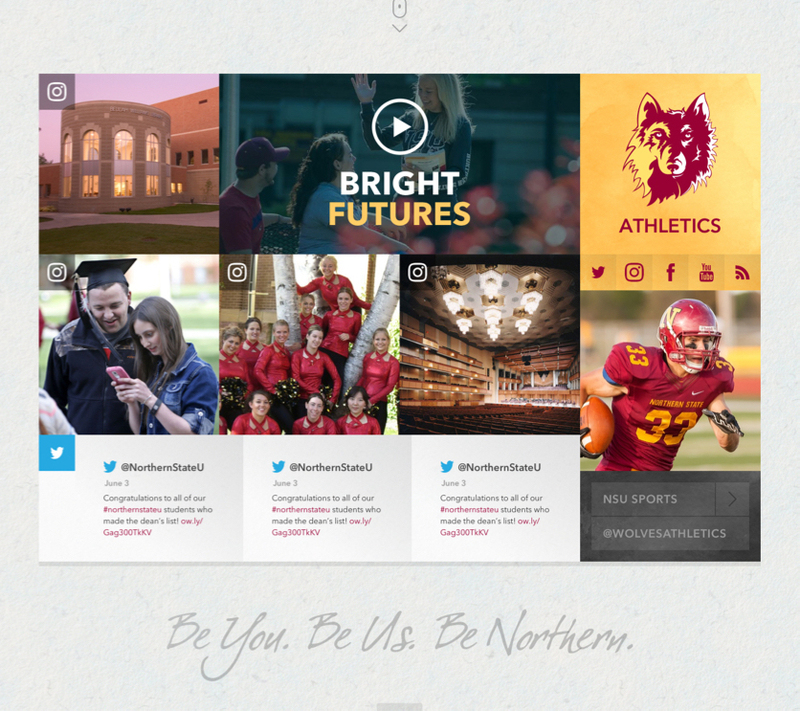 To bring out NSU's vibrant campus life we designed a social wall that incorporates Instagram, Twitter, athletics and video content. 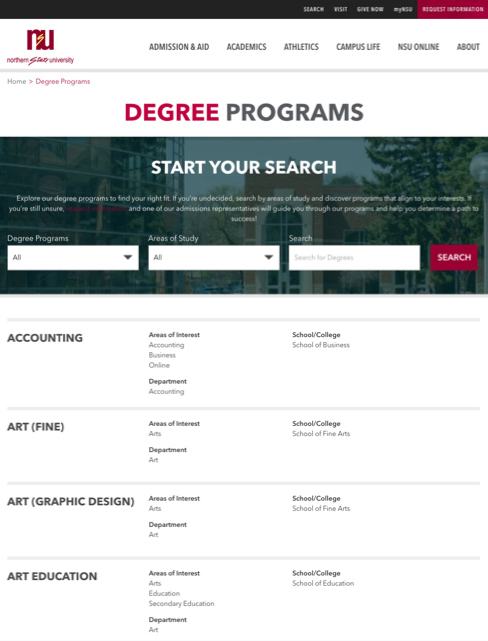 Students don't want to hunt all over your website to find the documents they need to apply. We created a simple graphic that shows how to apply and links to all the relevant pages.